This is beautiful, unique vintage lace! 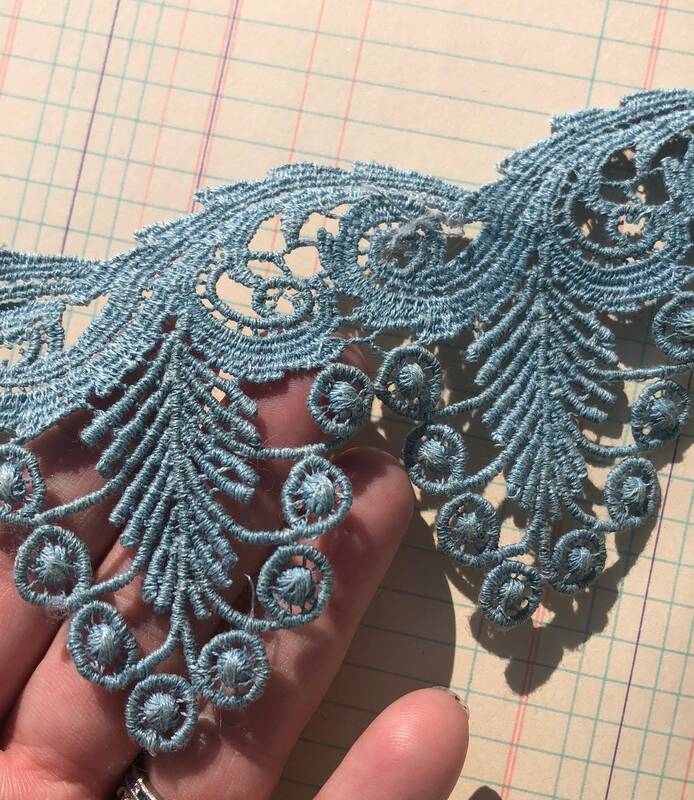 It's a wonderful cotton guipure lace with three-dimensional little bobble dot accents along the scalloped edge, in a charming vintage blue color. This lace is about 2 1/2 inches wide at the widest point, and this listing is for 1 yard, 15 inches. This is the only piece of this lace that I have. It has some age discoloration, but otherwise is in very good condition.